What is it? A pointed pen consists of a pointed ‘nib’ and a pen holder, the nib flexes and produces thin to thick lines based on the precise pressure applied to it. 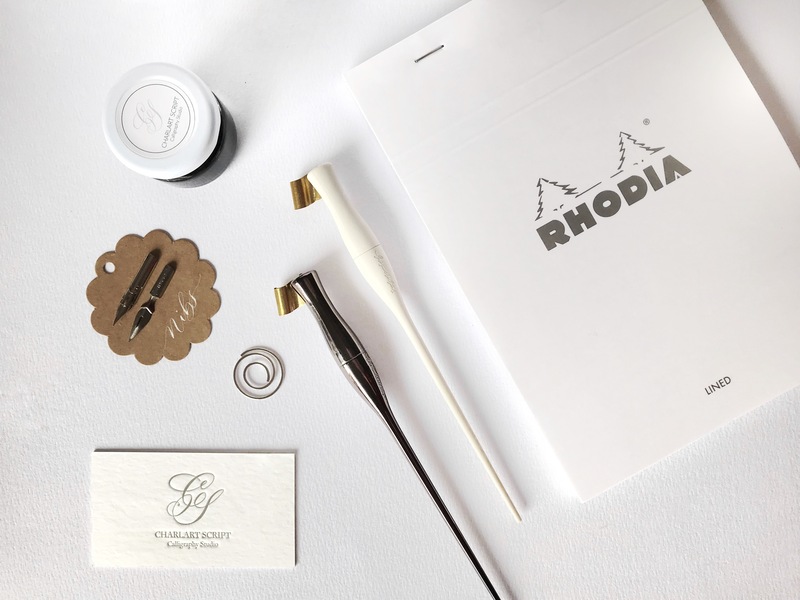 This special pen is used to produce beautiful traditional and modern scripts used in elegant wedding invitations, certificates, and many projects from small to large. 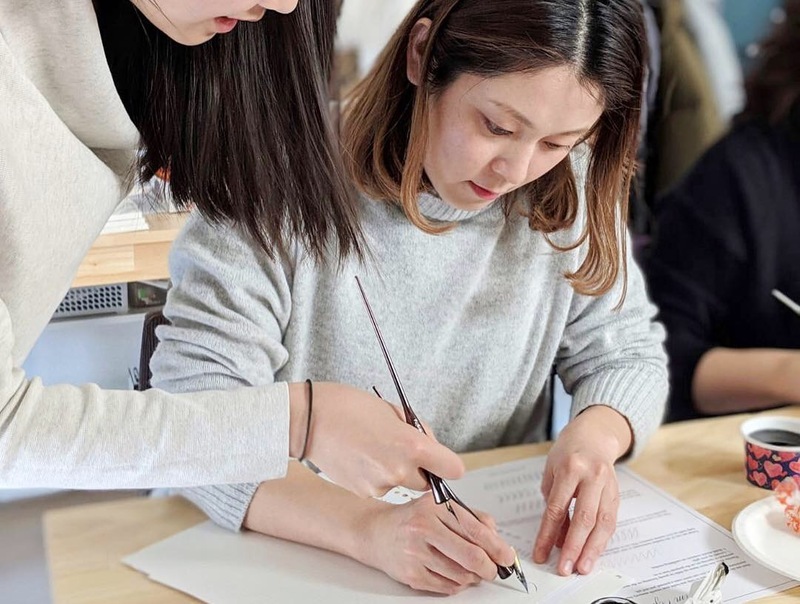 During this 3-hour introductory workshop, I will be guiding you through the fundamentals of Pointed Pen calligraphy. 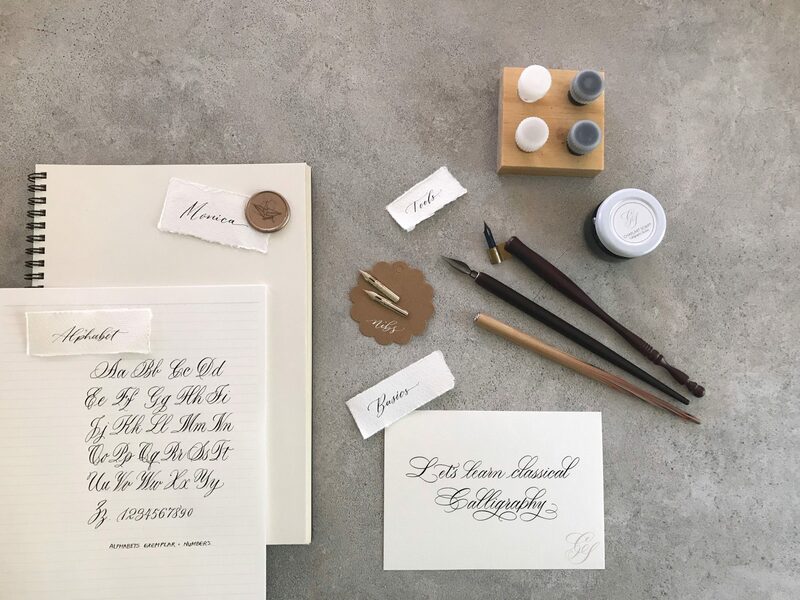 Whether your intention is to learn a traditional script or modern calligraphy, or whether just to learn a new skill, I will be teaching you the proper posture, positioning and movements that will help you get started in writing calligraphy. The most valuable part of my in-person workshops is the one-on-one guidance you get to receive to help you start your journey in the right direction. While some online videos and courses may be able to provide you with knowledge, it is when we try to put our knowledge to practice that common practical mistakes began to arise, and often you may not become aware until much later on. Once bad habits are formed, such as incorrectly gripping the pen, incorrect posture and manipulation of the nib, they can be hard to change. That’s why I have constructed this workshop, with a very limited number students per class, to ensure that each one of you receives plenty of one-on-one time to go through progress, problems and questions. 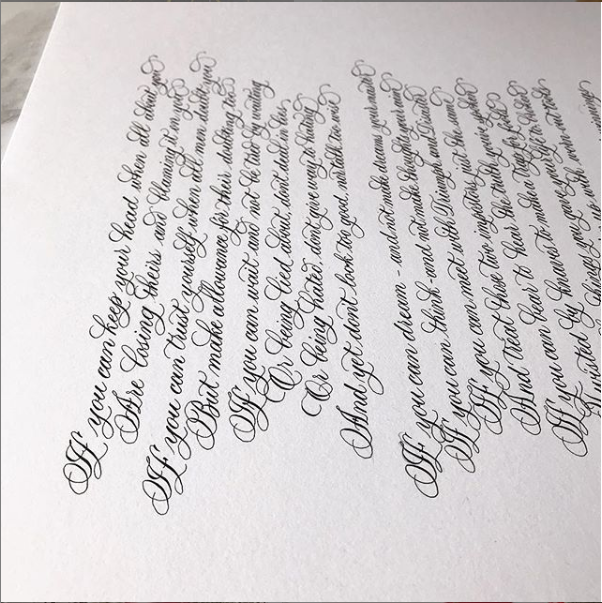 If you have experience in calligraphy but haven’t practiced it in a long time and want to refresh your knowledge and skills with proper guidance. 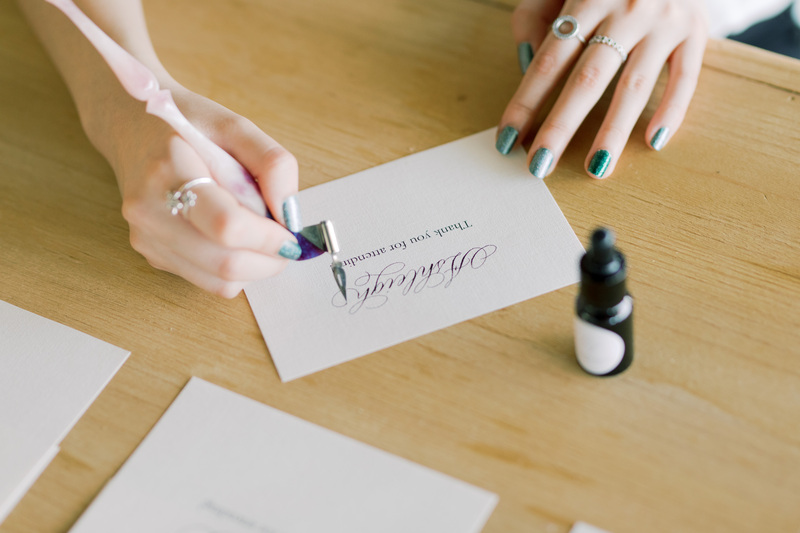 All materials will be provided, including your own Calligraphy Essentials Kit to take home. 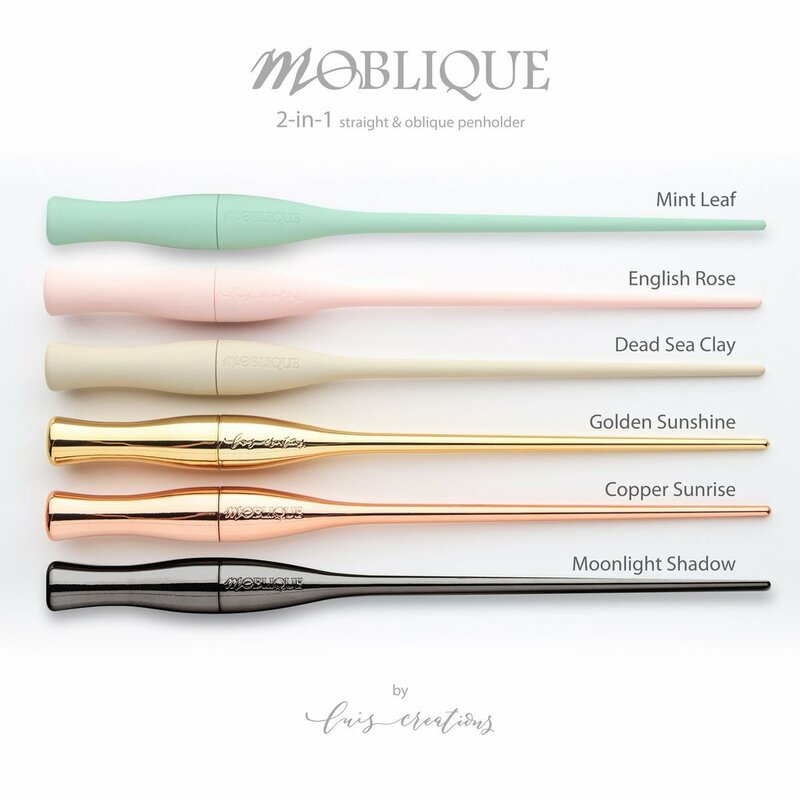 MOblique Pen Holder in the colour of your choice. Refreshments and drinks will be provided throughout the session.